The upcoming fall season of events at the Sanctuary for Independent Media in Troy starts up this month. 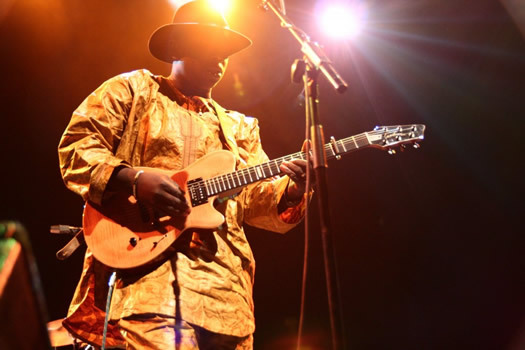 And, as in past seasons, it includes concerts, talks, screenings, and workshops on topics ranging from Afro-Carribean jazz to biology to the environment to food to politics. A trailer for the documentary Sembène, about the influential filmmaker Ousmane Sembène. The Sanctuary will be hosting a screening with the makers of the doc. The upcoming spring season of events at the Sanctuary for Independent Media in Troy is out. 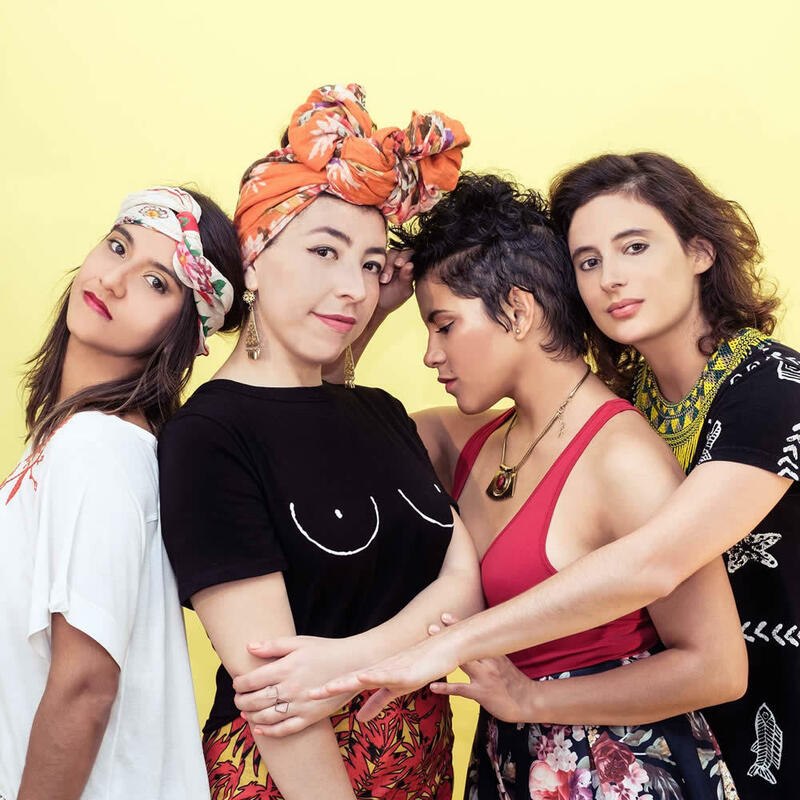 As usual, it includes workshops, talks, screenings, and performances on topics ranging from the environment to social justice to art (and sometimes all those things at once). 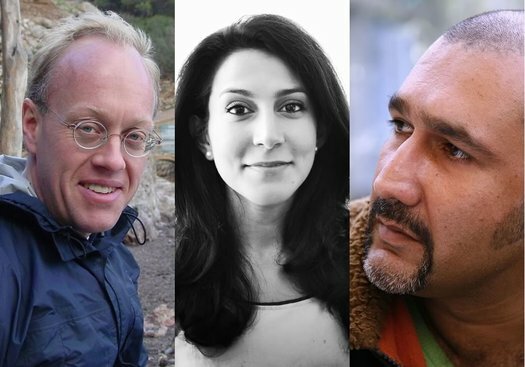 Among the people making appearances this season (left to right): journalist Chris Hedges, journalist Azmat Khan, and filmmaker Parvez Sharma. The upcoming fall season of events at the Sanctuary for Independent Media in Troy is out. As in seasons past, it includes music, talks, films, and community events. 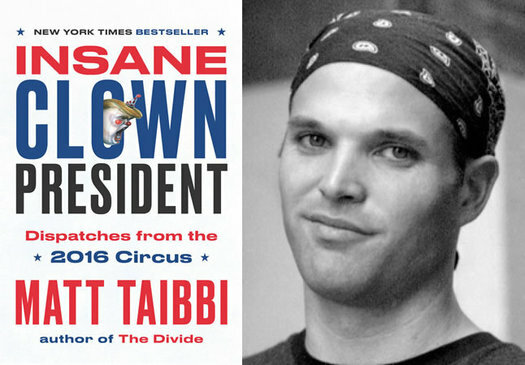 Rolling Stone journalist Matt Taibbi will be there in May. The upcoming spring season for the Sanctuary for Independent Media in Troy is out. As in seasons past, it includes music, talks, films, and community events. 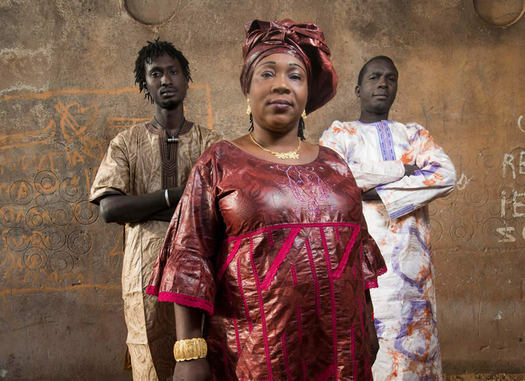 Trio Da Kali will be playing concert there in November. The upcoming fall season of events at the Sanctuary for Independent Media in Troy includes art openings, community festivals, talks, film, and concerts. The next month of events at the Sanctuary for Independent Media in Troy includes some notable names, including Wikileaks founder Julian Assange, Democracy Now's Amy Goodman, and filmmaker Penny Lane presenting her documentary NUTS!, which premiered at Sundance this year. A condensed schedule is after the jump. On Sunday May 15th, a portal will open between The Sanctuary for Independent Media in Troy and the Ecuadorean Embassy in London. The inimitable Julian Assange, founder of Wikileaks, will be piped in from his place of exile to tell participants about the latest and most twisted stories from bleeding edge of journalism: the exciting business of information liberation in the public interest. His appearance will be introduced by Mike Bonanno from the Yes Men, who will also show an exclusive, never-before-seen film from the time The Yes Men learned from Assange that they were being spied on by a private spy firm called Stratfor - and they were invited inside the wikileaks machine to help with the release five million emails that had been liberated from the firm by Anonymous hackers. We hear the portal in this case is a Skype video connection. The event is at 1 pm and tickets are $15. Earlier in the morning there will be a brunch made with locally-gathered foods, "theatrically served" by The Yes Men and Tito Ybarra. Tickets for that are $75. 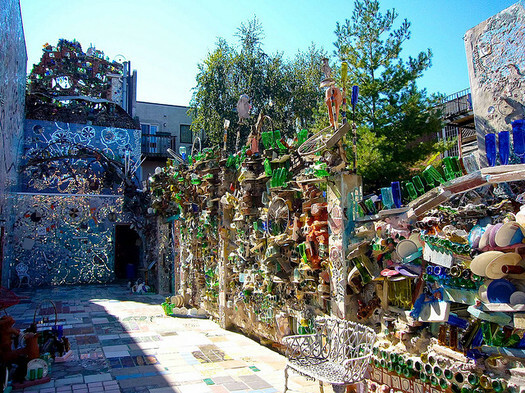 From Isaiah Zagar's "Magic Gardens" in Philadelphia. In this two day workshop, we will come together as a community to learn about mosaic construction with recycled materials. Participants will work on a mosaic from conception to completion. Zagar will teach the arts of breaking tile, cutting mirror, gluing tile, and grouting. While learning the Zagar mosaic-making technique, students participate in the beautification of the local North Troy neighborhood through the completion of a permanent, public mosaic mural at Freedom Square. The workshop runs 9 am-5 pm both Saturday and Sunday. The org is taking registrations for people who'd like to participate in the full two days. The registration fee is a sliding scale: $1-$350 "depending on what you can contribute." There are also drop-in sessions each day from 1-5 pm ($10 suggested donations / $5 students). The workshop is part of a year-long "Found Art in North Troy" project and construction of Freedom Square. 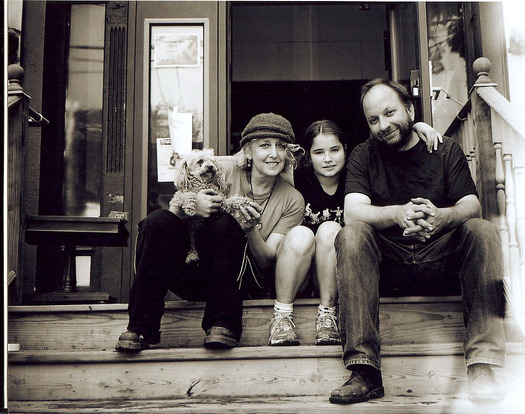 Sanctuary for Independent Media founders Branda Miller and Steve Pierce sit on the stoop of the sanctuary with their family. 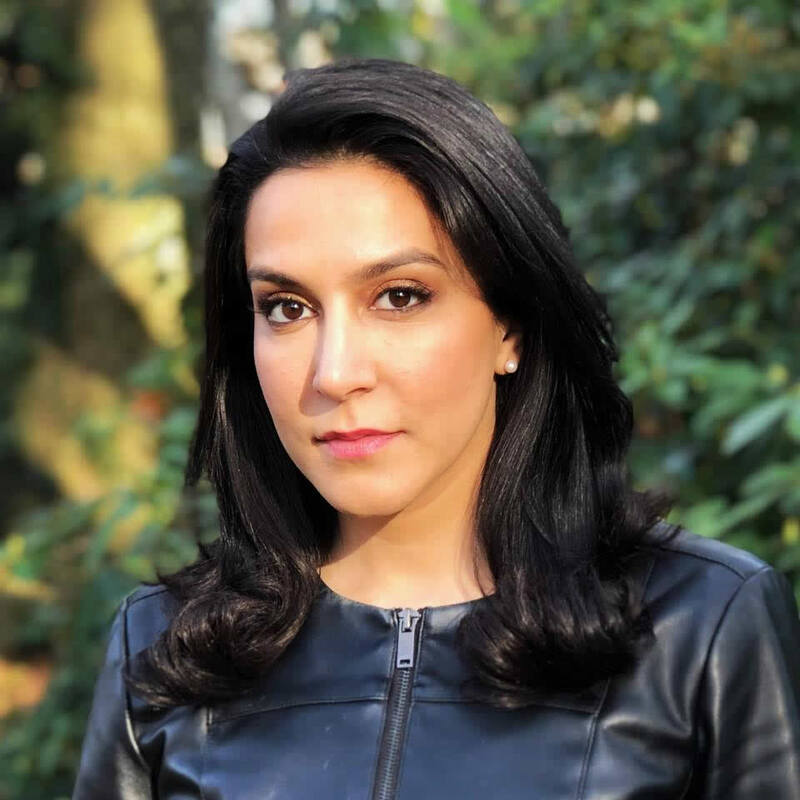 You probably remember the 2008 brouhaha over Iraqi artist Wafaa Bilal and the "Virtual Jihadi" video game that was booted from RPI. And you also may remember that Bilal's exhibit ended up at a little space in Troy called the Sanctuary for Independent Media -- which then got temporarily shutdown for code violations. In the years since, the Sanctuary has continued to soldier on, providing a meeting space for seasoned and novice activists to train, listen, plan and party. Now, as protest culture blooms both here in the United States and around the world, the Sanctuary's fall season is focused on "cultures of resistance." I talked with Sanctuary executive director Steve Pierce and art and education coordinator Branda Miller recently about emboldened protesters, media reform, the necessity of being for something, and allegedly humorless militants.